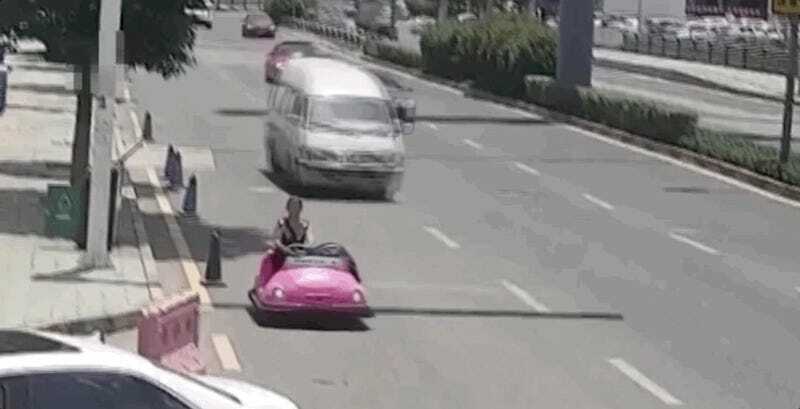 A beacon of hope, a true hero of our time, was casually driving her pink bumper car down the street in Guiyang, China when police pulled her over, according to California news station KEYT. What? Is being so cool that you turn entire streets into refrigerators a crime? Police stopped the woman driving the bumper car last Thursday in what was likely a very riveting and high-speed chase, according to the news station. Several security cameras caught video of her driving it, and, while the video couldn’t be embedded, it’s paired with the KEYT story on the station’s website. Officers seized the bumper car and gave the unidentified woman a stern lecture, the CCTV report said. It was later learned that the woman owns a bumper car business. She has to bring the cars home each day, so she drives them on the street to save time. See, this woman is so cool and has so many things vying for her time that she’s got to get creative with speeding up the process while transporting her bumper cars home. There’s nothing wrong with that. 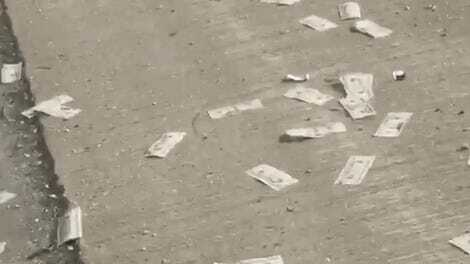 Now, if you’ll excuse me, I think I’m in the wrong industry. I’m off to buy some bumper cars and do the slowest donuts you’ve ever seen. Hold your applause.